Fattobene means well made in Italian. It is an online shop and a platform to archive and sell Italian everyday archetypes that have a long history. We travel through Italy to discover special and unique items, like art déco soaps and modernist saffron packagings, old time candies and niche farmers' textiles that have been producing the same way for hundreds of years. We want to create a place where people can relax and read interesting stories about objects that are difficult to find anywhere else. The result is a cutting edge collection of timeless items that improve with age and create an atlas of Italian material culture. Fattobene is curated by Anna Lagorio, journalist, and Alex Carnevali, photographer. Visual identity and web design by AV. Fattobene allows you to use and share images and content, as long as the source is always mentioned. The first stapler appears at the court of Louis XV in the 1700s: a tool that uses decorated pins, with which the king imprints the royal seal. Subsequently, many inventors contend its patent: in 1868, C.H. Gould registers the first official license in England, while Albert Kletzker does the same in the United States. Another American, George McGill, patents the metallic pin and launches the “McGill Single-Stroke Staple Press” with good commercial success. Anyway, the golden age of the stapler begins in the 30s, when offices become the heart of industrial life. Its fame reaches Italy after the Second World War: during the economic boom the country is in full throttle and the number of white collar employees spikes. It is in this context, in 1948, that Aldo Balma designs the Zenith 548, a prodigy of good design, function and form. 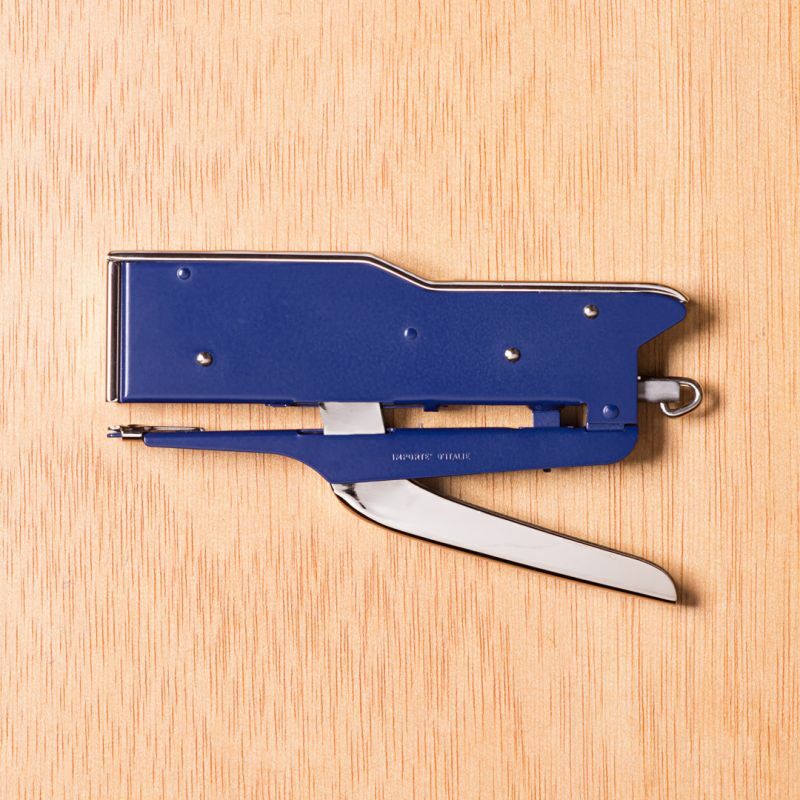 In no time this stapler revolutionizes office life: in lieu of rusty pins staining the paper, the Zenith 548 shoots staples with millimetric precision, and soon becomes popular all across the globe, an icon of style and a symbol of industrial Italy. To this day, the Zenith 548 is guaranteed for life, thanks to its undiscussed quality. After all, when choosing its name, the inventor was never in doubt: he wanted to refer the highest point the sun reaches over our heads, and to do the same with his product.